Wrap advertising is the marketing practice of completely or partially covering (wrapping) a vehicle in an advertisement or livery. This result of this process is essentially a mobile billboard. 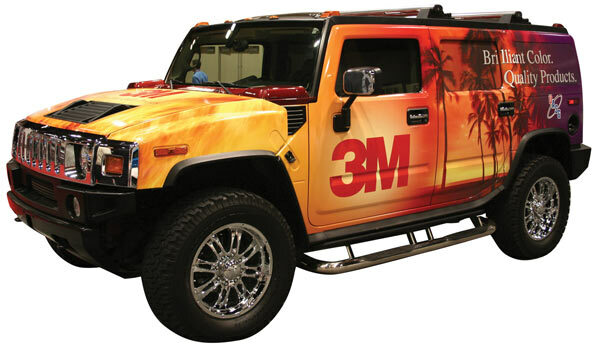 Wrap advertising can be achieved by painting a vehicle's outer surface, but an increasingly ubiquitous practice in the 21st century involves the use of large vinyl sheets as "decals." The vinyl sheets can be removed with relative ease, thus they drastically reduce the costs associated with changing advertisements. While vehicles with large, flat surfaces (such as buses and light-rail carriages) are often utilised due to ease, cars can also serve as hosts for wrap advertising, despite consisting of more curved surfaces.